Description: "Kaleid", derived from the word "kaleidoscope", means continually shifting pattern, scene, fads, fashions, etc. 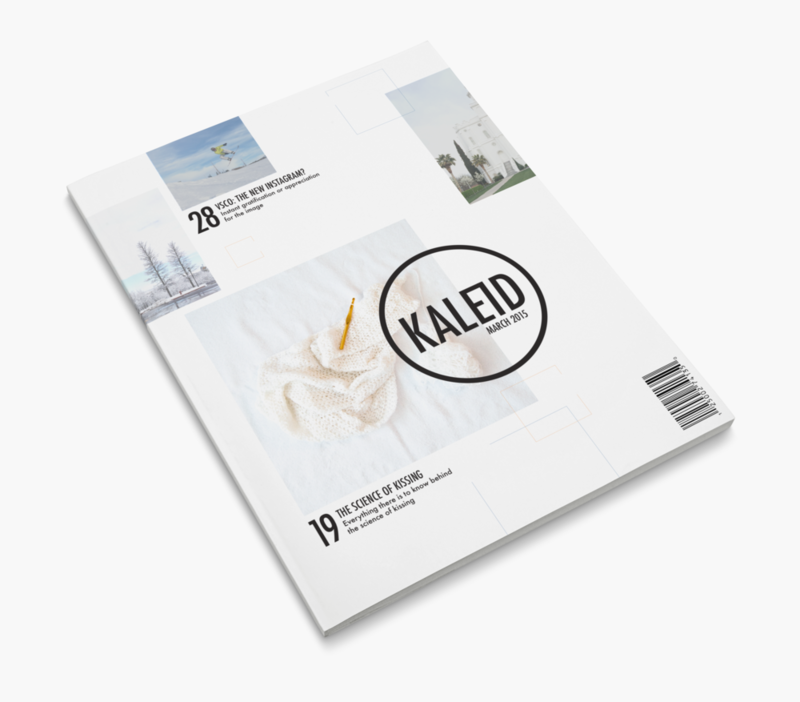 This magazine is about current trends, fads, fashion, and other popular topics among teens and young adults. © Brooke Farr 2016. All rights reserved.